Make sure you need a Russian Visa as certain countries do not require a Visa to enter Russia. Apply for your Russian Visa as early as possible. We applied 30 days in advance, but as soon as you know your dates and itinerary, apply as soon as possible as sometimes you may be asked for extra information. 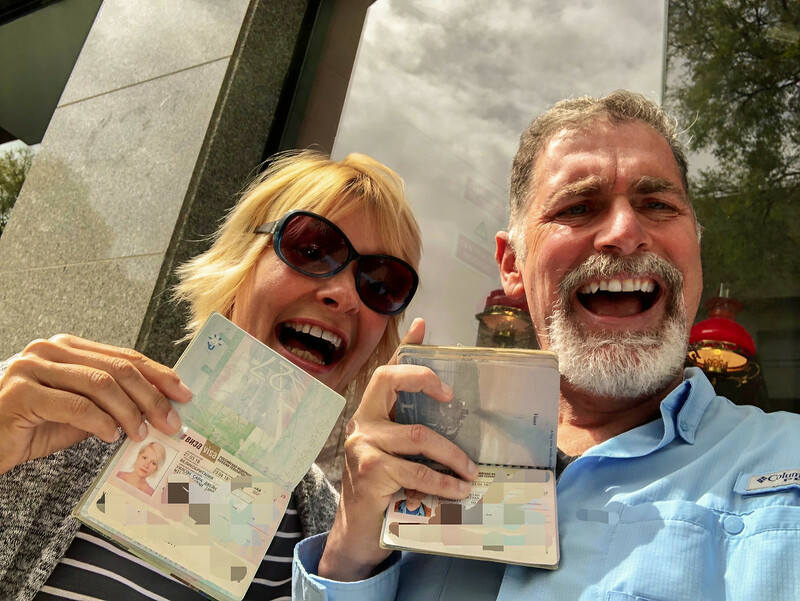 Make sure your passport is valid for at least six months after your planned departure date from Russia and have at least two clean pages for the visa. Book your tour or accommodation. You need to pre-book accommodation for your entire stay in Russia. Your hotel or tour company should provide all the visa support documents. Strelka Travel in Russia emailed all the necessary paperwork for us via email. Fill out the electronic Russian visa application form at: http://visa.kdmid.ru, (or where your visa service company recommends) print out and sign the application. It appears the visa questions vary depending on nationality. The visa questions for Americans were different to the questions for the British. Make sure you answer every question with an asterisk. Otherwise, they will call you back. We know from experience. Submit your visa applications. There are more Russian visa centers than before, so it’s a much easier process than it once was. Find your nearest Russian visa center or consulate. Remember if like us, you live outside the country where you hold citizenship, check the local Russian consulate accepts your visa application. No problems in Lisbon, even though we were the first non-Portuguese to apply here! Have health insurance. Most Russian consulates do need to see proof of health insurance. Make sure your insurance covers Russia. Bring a recent passport photo. Some consulates ask for one, some for two. Be prepared. On arrival in Russia, you will be issued a Migration Card – don’t lose this! And finally, it’s a good idea to take copies of your passport page and visa. All in all, it’s not as difficult as it used to be to get a Russian visa. We used a service in Lisbon, and it seems that using your closest Russian visa service center wherever you are is the easiest and preferred route. Just remember to read the fine print and if you follow the above steps, you’ll be fine. It took us about 10 days to get our Russian tourist visa processed, but you can pay a bit more and get expedited service. This is a link to the Russian Embassy visa page in Washington, DC with more information. Yes, it’s true you have 72 hours visa-free in St Petersburg if you arrive by cruise, but, as we understand it, you have to stay with your guide and you are very restricted to what you can and can’t do. St. Petersburg is lovely, but, in order to get a good feeling for Russia, particularly the extraordinary sights of Moscow, you need to get a Russian visa. Our advice, apply early for a Russian visa, plan on spending some days in Moscow, and enjoy the full Russian experience! You won’t regret it! I just did the visa-free in October. You don’t have a guide and are free to go where you like. Only requirements are to take the shuttle bus which counts as a tourist activity and to be back on time. You can book your own accommodation and plan your days how you like. I really appreciate this post! I’ve not been to Russia yet but would love to one day. Very strange they have different questions for Brits and Americans, but then again it is Russia! Will bookmark this for the future!